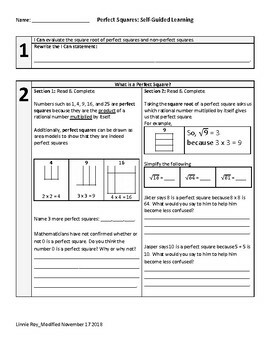 This scaffolded packet provides a chance to for students to explore perfect squares and estimating the value of perfect squares. Additionally, there is a culturally responsive connection to Eugenics (creating a "perfect" race) which allows students to discuss a mature topic and make connections that enhance the understanding of both topics. 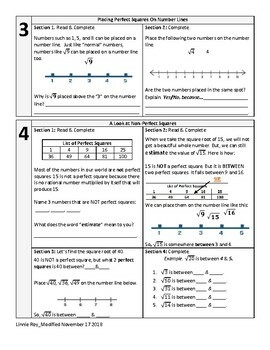 I have used this as group work with 7th and 8th graders.